1. 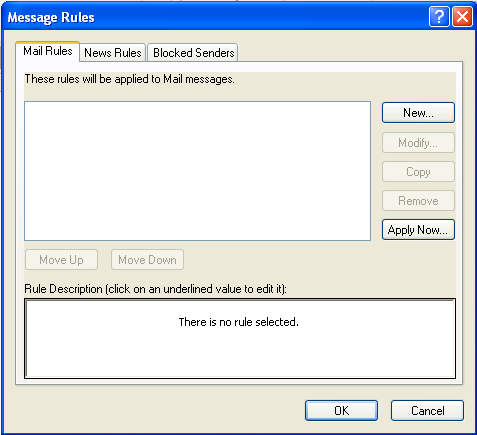 From the opening screen of Outlook Express, click on the Tools pull down menu, and then go to Message Rules, and Mail. 3. 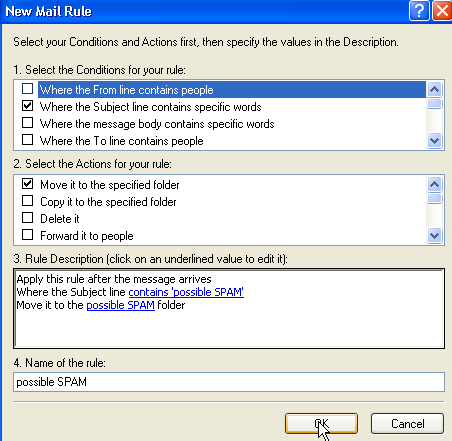 In the New Mail Rule window, place a checkmark beside "Where the subject line contains specific words" and "Move it to the specified folder"
Then in the rule description click on "contains specific words"
4. 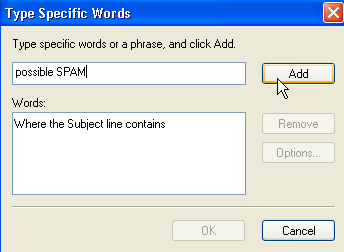 Type "possible SPAM" in the first field and then click on Add, followed by Ok.
5. After clicking Ok you will be brought back to the screen in step 3. From there click on "specified". This will bring up the screen below. In this screen click on New Folder. 6. 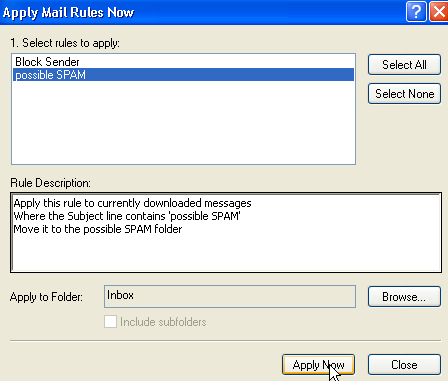 Type in "possible SPAM" as the name for the folder and then click on Ok. Make sure the "possible SPAM" folder is highlighted in the next window and then click on Ok there as well. You should then be returned to the window in step 3, except now your information is filled in at the bottom. 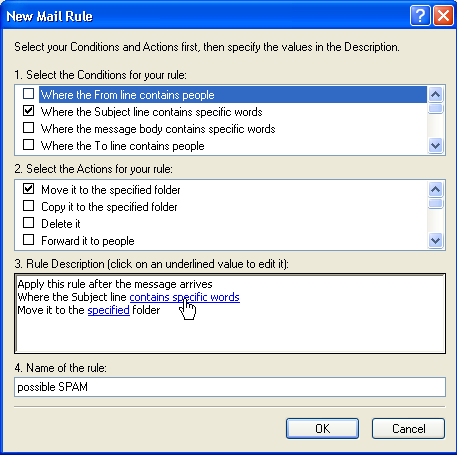 Fill in "possible SPAM" as the name of the rule and click on Ok.
7. 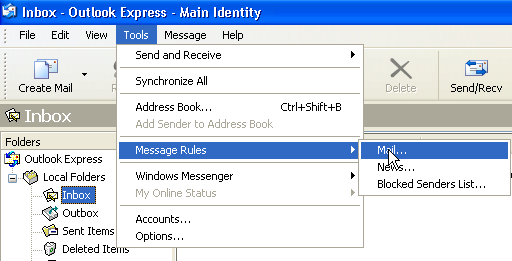 In this window make sure possible SPAM is highlighted and then click on Apply Now. It will then tell you the rule has been applied. Click Ok and then click Close on the final window. Congratulations, your new junk mail filter is complete!